Are you focused on the right outcomes? There’s a short list of movies that I’ll stop and watch no matter when they’re on. Maybe a handful of others. 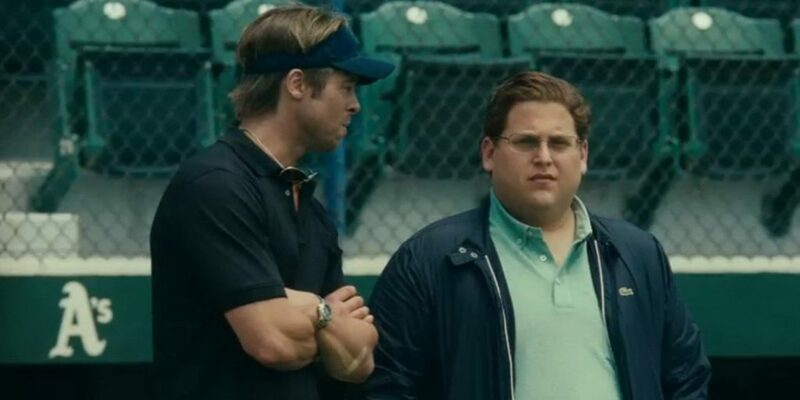 So, when I came upon Moneyball the other night, of course I stopped and watched. 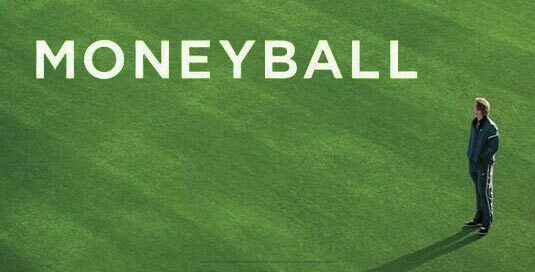 In addition to a compelling underdog story, Moneyball packs a terrific business punch. I’d even say it’s more about strategy and decision-making than it is about baseball. If you haven’t seen Moneyball, do yourself a favour. Brad Pitt stars in the true story of Oakland A’s General Manager Billy Beane. It’s 2002, and Beane is running a small market team with a low payroll, scratching and clawing against the richer teams in the league. It’s not a fair fight. One day, he meets Peter Brand (Jonah Hill), a Yale economics grad who’s crunching stats, buried in a cubicle, for the Cleveland Indians. Brand’s economics background enables him to see something the rest of the league can’t. He convinces Beane that there’s a better way to run a team without over-spending on talent. It’s ‘analytics,’ a formula that measures each player’s ability to create runs instead of traditional baseball stats like batting average and home runs. Leveraging analytics would enable teams to sign overlooked players at lower prices. Moneyball. Beane is desperate. He hires Brand, moves him to Oakland, and asks him to instill analytics into a tired A’s culture. The story is all about the tension of old vs. new thinking. Sound familiar? This sort of debate plays out in most businesses at some point, doesn’t it? 1. Confront the brutal facts. “You’re not solving the problem. This early scene shows an exasperated Beane confronting his coaches and scouts about the need to do more with less. Despite a collective 100 years of baseball experience, they’re stuck in the old model of outbidding other teams for the same familiar players. They go around the room, dancing over the issues, missing the real problem. It’s same old, same old. Jim Collins calls this “confronting the brutal facts of reality.” It means facing the ugly truths that we won’t like. But ignoring them is worse. For Beane, the brutal facts were a frugal owner and an unlevel playing field… and how would he respond? We can’t solve the problem unless we get to bedrock and identify the real problem. The A’s would never beat the Yankees by out-spending them. It wasn’t possible. They needed to find a different way. Same for us. We can’t play the game using our rich competitors’ rule books. Like the A’s, our businesses work under constraints too. If we’re trying to disrupt the status quo and beat competitors that are bigger and better funded, we won’t do it by playing their game. Peter Brand showed the A’s that moneyball was a different way. We can’t stray into the herd and follow it off the cliff. We need to adapt and think different. 3. Focus on the right outcomes. “Your goal shouldn’t be to buy players. In one of the best scenes in the movie, Brand rants about how baseball’s dinosaurs mis-manage their teams and their assets. “There’s an epidemic failure within the game to understand what’s really happening. And this leads people who run major league baseball teams to mis-judge their players and mis-manage their teams. People who run ball clubs, they think in terms of buying players. Your goal shouldn’t be to buy players, your goal should be to buy wins. And in order to buy wins, you need to buy runs. Don’t be medieval. Ask the right questions… and focus on the right outcomes. By the way: the A’s stunned the league that season by winning 22 games in a row, and coming within one win of the World Series. Not bad for a team with the lowest payroll in the league. After the season, the Red Sox offered Beane $12.5 million to become their own GM. He declined. Two years later, Boston won the World Series by using the same analytics strategy that the A’s had revolutionized. Many teams deploy this strategy today. What movie will you watch anytime it’s on?